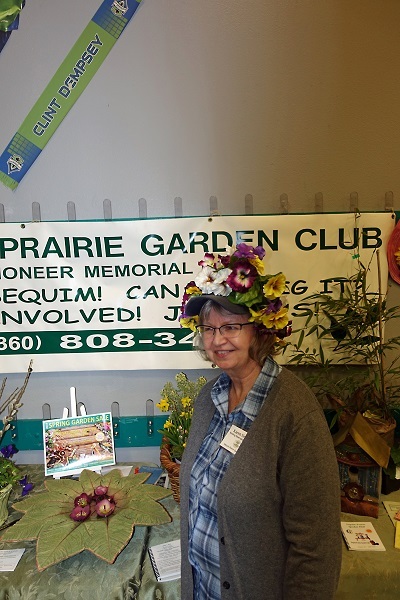 SPGC hosted a display of planted spring containers, bouquets and garden art at the Soroptimist Gala Garden Show in the Sequim Boys & Girls Club. A water filled cement leaf with floating hellebore flowers brought attendees over to our booth. Containers with color echo plantings brought admirers as well. We passed out hundreds of brochures, business cards and handbills with upcoming events.